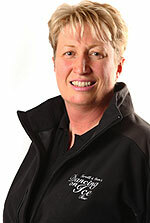 Maxine is the Practice Manager at Sharon Morrison Physiotherapy and Associates. 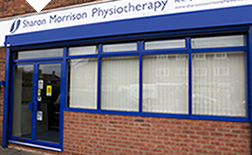 She graduated in Physiotherapy from the Manchester School of Physiotherapy in 1987 and has worked for over 25 years in the Sutton Coldfield area, in both the NHS and the private sector. Initially she worked as a Senior Physiotherapist at the Good Hope Hospital. 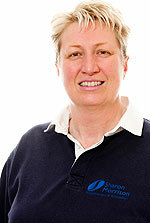 Maxine was the Founder and Specialist Physiotherapist of Four Oaks Spinal and Sports Physiotherapy Clinic opened in 1992, based in Mere Green at which time she maintained and developed a large client base and consulted for the Aston Villa Football Club. She has worked as a Specialist Physiotherapist and the Deputy Physiotherapy Manager at the Spire Little Aston Hospital where she continued to enhance her exceptional reputation with many of the consultants. Maxine left 7 years ago to become the Practice Manager at Sharon Morrison Physiotherapy and Associates and specialises in manual therapy in musculoskeletal medicine and has a particular interest in the treatment of spinal pain and chronic pain, working closely with Mr Spencer Harland and Dr Liam Blaney. Maxine was also the Assistant Senior Physiotherapist on ITV's Dancing on Ice since airing in 2005.